Philippine financial system is not likely to crash like its American counterpart due to the conservative and prudent stance of local banks and monetary authorities, President Arroyo said on Oct. 10. 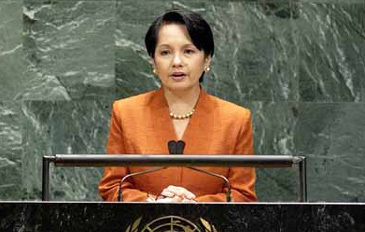 Mrs. Arroyo though admitted the US financial crisis "appears deeper than most anticipated." She said "any slowdown or even recession in the US is not good for the global economy." In her speech at the opening ceremonies of the Agrilink/Foodlink/Aqualink 2008 at the World Trade Center in Pasay City, the President also announced her signing into law of the Credit Information System bill to further strengthen the country's financial system. She said the global credit crunch has proven the country has a strong banking sector that can be exploited by businesses wanting to expand. "The potential exposure of our banking sector to the asset deflation triggered by the subprime mortgage losses in the US accounts for less than one percent of their total system assets here in the Philippines," Mrs. Arroyo said. "This exposure is fully reserved, our banks are well-capitalized, and the innate conser-vativism of our bankers is matched by the prudence of our regulators," she said. Mrs. Arroyo added the government would increase its spending on infrastructure and social projects to keep the economy going amid a global economic crisis. Finance Secretary Margarito Teves, on the other hand, said the government is ready to provide assistance to affected sectors in the country in the wake of the financial meltdown in the US. Teves said that previous gains on the country's fiscal consolidation efforts have given the Philippines more room to assist other sectors. Teves also said the Philippine economy has shown resilience in the face of global market uncertainties. "While we are not completely insulated from these external shocks, we can withstand further pressures if we continue to be vigilant and maintain confidence in our country," he said. The Fund Managers Association of the Philippines (FMAP) also expressed optimism that the Philippine banking system will survive the financial meltdown in the US. FMAP, which has 44 member institutions and 100 investment professionals, urged the investment community to remain calm. The group said the Philippines cannot be totally immune from the negative impact of the crisis but its possible effects on the country would be minimal.